growing sensitivity to reproach of its policies. Several recent incidents have dominated media headlines, including the arrest of a Jewish-American journalist on the grounds of security, threats by an Israeli minister against international diplomats and the arrest of Israeli and Palestinian peace activists. 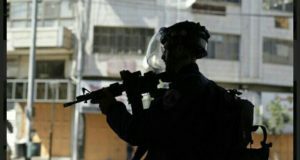 The raid on a foreign activist´s home in Ramallah, supposedly under full Palestinian control, by a large Israel Defence Forces (IDF) contingent allegedly for a visa infringement, and her subsequent arrest at gunpoint and deportation has also raised eyebrows. “We will not allow a situation where every country will kick us. If there will be an attack on Israel, we will leave all options open, including the expulsion of ambassadors,” Israel´s deputy foreign minister Danny Ayalon said on Saturday. “We do not want to argue with anyone, but we will not sit idly by,” he added. Ayalon´s outburst followed, amongst other incidents, a much publicized political confrontation with Turkey over a Turkish TV programme critical of Israel. “The United States handles the settlements unfairly? We’ll point an unloaded gun at the American ambassador’s head and pull the trigger, just to scare him. We’re not murderers. We’re just trying to frighten, which, as is well known, creates respect. Just ask the Godfather,” was Barel’s scathing comment. Furthermore, Haaretz recently broke a story over the extent of Israel’s political blackmail of the Palestinian Authority (PA) over last year’s Goldstone report, which has received unanimous support internationally, and highlighted how sensitive the Jewish state is to negative publicity. Justice Richard Goldstone was sent by the U.N. to the region to investigate war crimes committed by both Palestinian resistance groups and the IDF during Israel’s military assault on Gaza last year. His report overwhelmingly criticised Israel’s deliberate targeting of Palestinian civilians and its disproportionate use of force. Goldstone’s report was due to be transferred from the U.N. General Assembly to the Security Council after receiving overwhelming support from the U.N. Human Rights Council. To everybody’s surprise, not least the Palestinians, PA President Mahmoud Abbas asked for a vote on the report’s recommendations to be postponed until March this year. According to Haaretz, Abbas’ request to the U.N. Human Rights Council to delay the vote followed a meeting with Yuval Diskin, the head of Israel’s domestic intelligence agency, the Shin Bet. Abbas was warned by Diskin that “if he did not ask for a deferral of the vote on the critical report on last year’s military operation, Israel would turn the West Bank into a ‘second Gaza’.” A senior IDF officer is alleged to have made similar threats to the PA at around the same time. Diskin, who reports directly to Israeli Prime Minister Benyamin Netanyahu, also warned the Palestinians that the easing of restrictions on movement within the West Bank would be revoked as well as permission to operate a second mobile phone company Wataniya. The PA would have lost tens of millions of dollars in compensation payments to the company. Israeli sensitivity to its critics was highlighted again several weeks ago in the early hours of the morning when the Ramallah apartment of Czech national Eva Novakova, 28, was raided by Israeli soldiers after they broke her door down. Israeli armed personnel carriers surrounded the area while about 20 heavily armed soldiers took up positions on surrounding rooftops. Novakova was forced at gunpoint to dress and was subsequently arrested and deported to Prague on the grounds she had overstayed her visa. She was denied access to a lawyer. 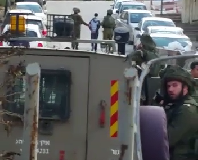 As Ramallah is supposedly under full Palestinian control, this kind of military operation is usually reserved for arresting armed Palestinian resistance fighters who are suspected of involvement in attacks against Israelis. 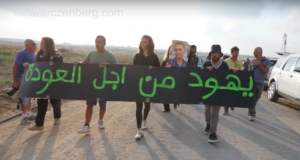 Critics allege Novakova’s political involvement in peaceful protests against Israel’s separation barrier, which expropriates Palestinian farmland illegally for the benefit of Israeli settlers primarily, and the international support received for the protests, is a more likely explanation for the overkill. In a further crackdown on an increasingly critical media, the arrest and detention of Jared Malsin, a Jewish-American journalist and English editor at the Palestinian news agency Maan, at Tel Aviv’s Ben Gurion airport last week has sparked outrage. Malsin, who has been based in the West Bank for two years, was accused of being a security threat for writing reports hostile to Israel and reporting from within the Palestinian territories. On Friday, the International Federation of Journalists (IFJ) called for Malsin’s deportation order to be revoked while The Committee to Protect Journalists called for his immediate release. Palestinian home demolitions and expulsions.